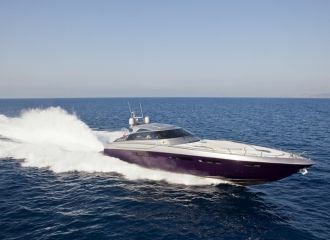 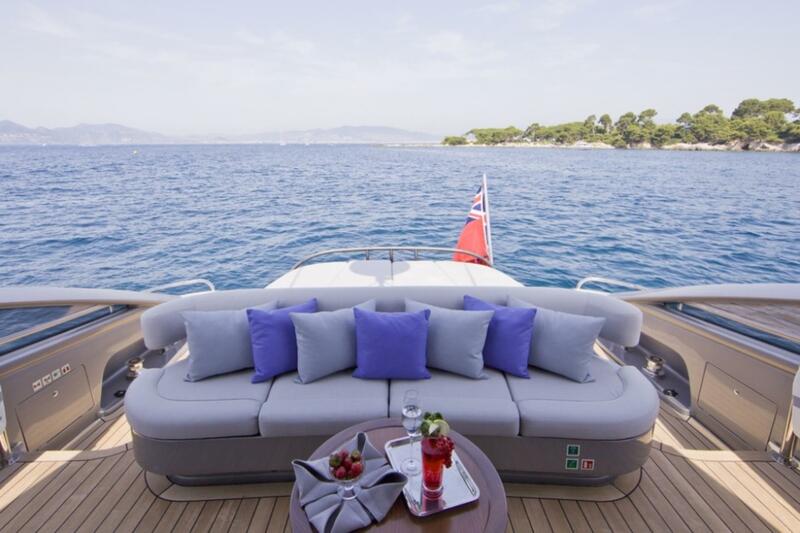 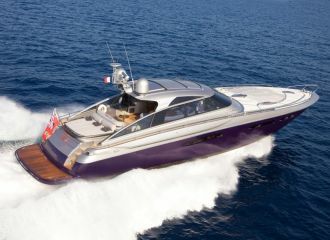 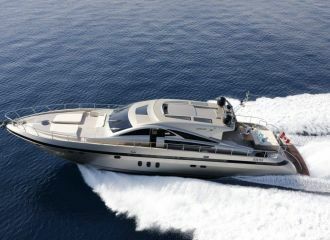 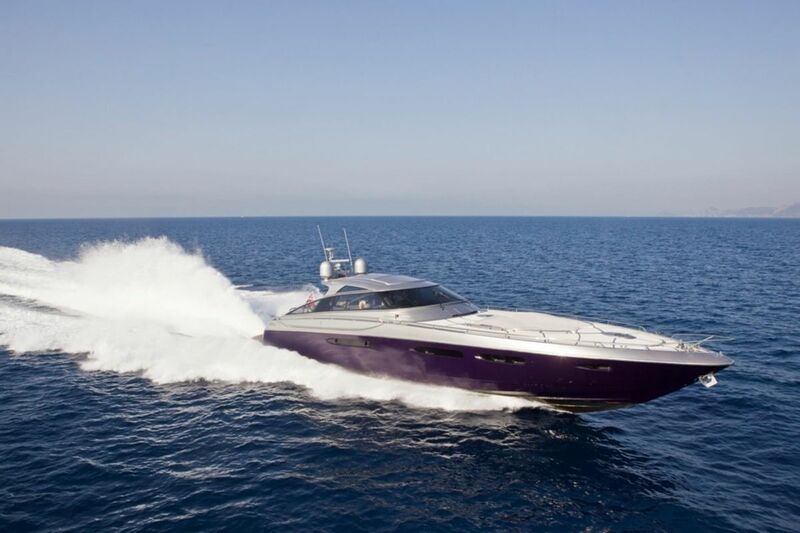 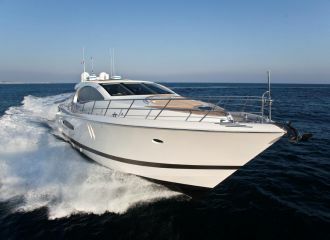 This open yacht is the perfect sports cruiser to explore the French Riviera coastline from Monaco to St Tropez. 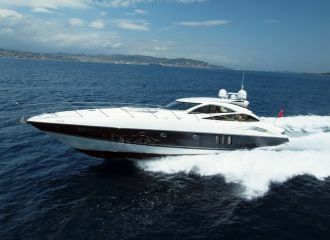 Ideal for cruising quickly and making the most of your south of France yacht charter. 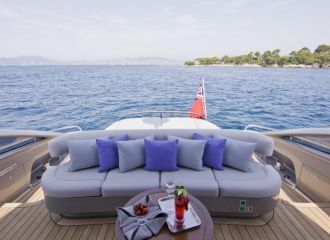 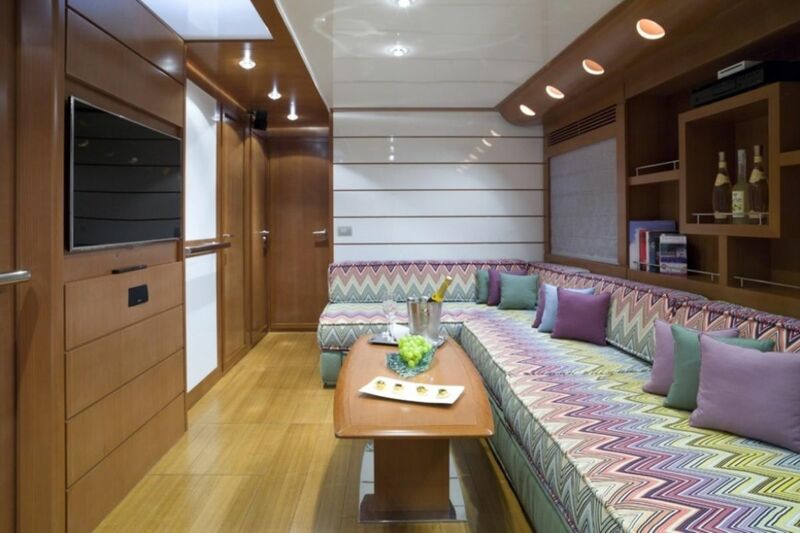 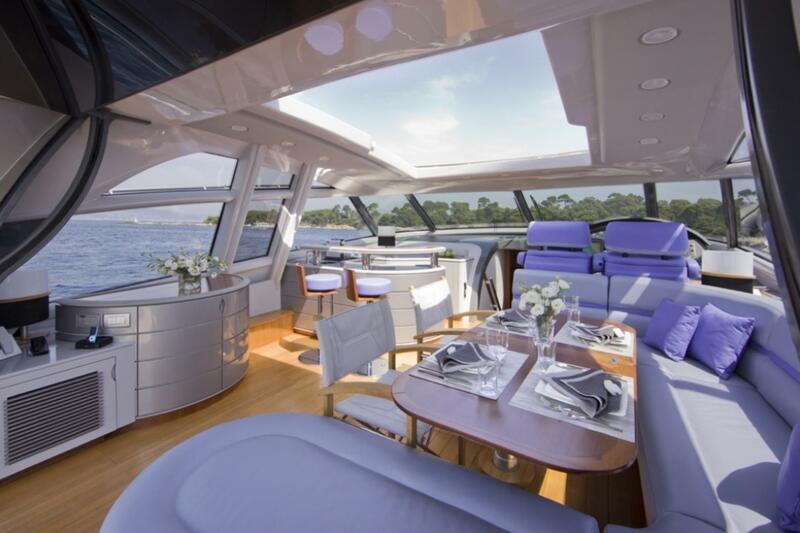 This Baia Atlantica 78 boasts 2 sunbathing areas (on the aft deck and forward) as well as two dining areas and a bar. 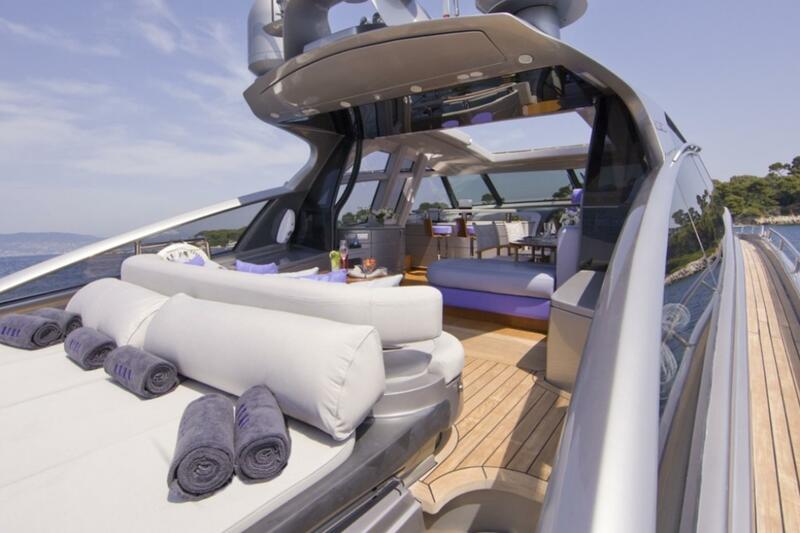 The yacht comes with a range of exciting water toys. 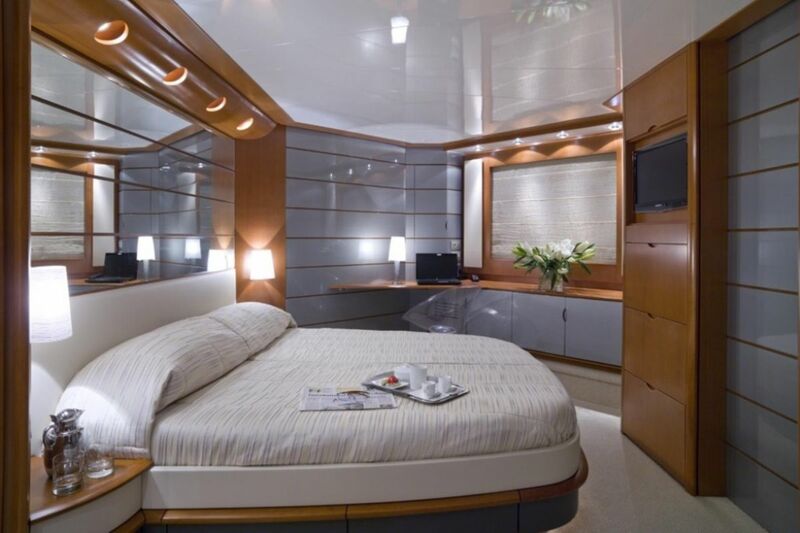 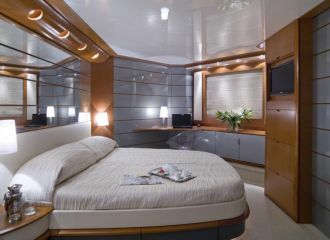 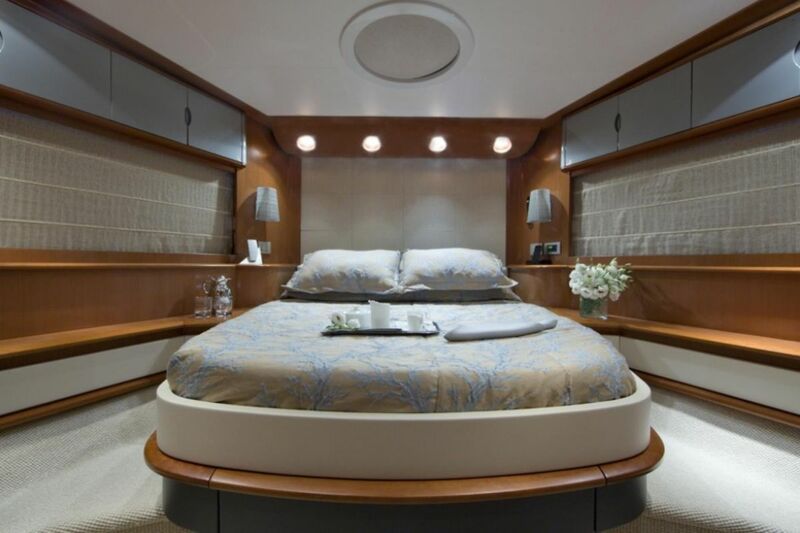 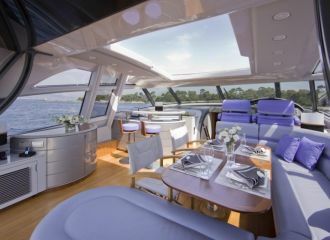 The yacht accommodates up to 6 people in 3 cabins: 2 double and 1 twin. 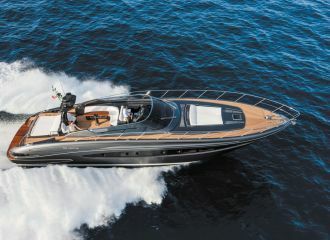 total 4500	€ Excluding VAT and APA ?